Several golfers to target for your #DraftKings lineups at the Wells Fargo Championship this week. After a short DFS break for last week's team-formatted Zurich Classic, fantasy golf at DraftKings returns this week at the Wells Fargo Championship. The tournament will be hosted by Eagle Point Golf Club this yeah as the regular host course, Quail Hollow, gets ready for the 2017 PGA Championship. There is no PGA Tour course history at Eagle Point Golf Club as it has not hosted any events yet, but the layout benefits some players more than others. Eagle Point will play as a Par 72 and play around 7,400 yards. Three of the Par 5s will be reachable by longer hitters, and many PGA Tour players are saying it mimics the quality of Augusta National. We have dug into the depths of the ocean to find that there is also some correlation between the Jim Fazio-designed courses on tour, two of them being Quail Hollow and PGA National. We also found a correlation for some Web.com Tour graduates as Victoria National Golf Club (Fazio design) matched up with PGA National. Since we have an average field this week compared to a weak field, most Web.com graduates are on the cheap end. We will take a look at which golfers should play well this week. In doing so, we will only post two top tiers and one value play while adding a few sneaky plays in the Web.com write up. Lefty is coming off a much-needed three-week break after the Masters. He has been known to play well after taking some time off and is returning to an event that he loves to play. Phil has placed fourth in his previous two trips to the Wells Fargo, and it's worth noting that he also performed well at a first-time course earlier this season, placing seventh in the WGC Mexico Championship. Phil comes into the week ranked eighth in BoB% and sits 13th in Approaches inside 100 yards. He has struggled overall with his approaches recently but this break may be exactly what he needed to turn it around. 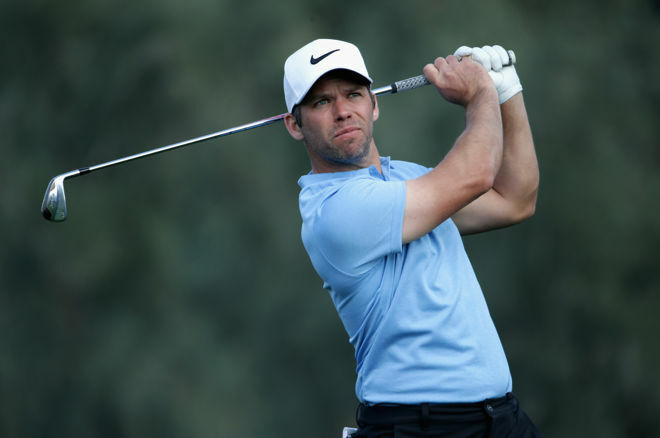 Like Mickelson, Paul Casey hasn’t played since the Masters, where he placed sixth. His game looks to be in prime form to tackle the Eagle Point Golf Club. Casey finished 16th in the WGC Mexico Championship and he placed 11th in this year’s Honda Championship played at Fazio-designed PGA National. Casey is rarely going to make the most birdies in the field for a week, but what he will do is prevent disaster as he ranks 14th in bogey avoidance. He has a great tee-to-green game, ranking 16th on tour, and also ranks 21st in SG:App. Casey should be fresh and ready to continue playing great golf this week. Glover is playing great golf this year, posting two top 20s in his last four starts. Glover posted a 28th and an 8th in his last two Wells Fargo events, and he also posted a 21stat the Honda this season. He is getting it done in almost all stats this season and when his putter is on, you will find him on the first page of the leaderboard. The only problem is he has rarely been on with his putter. A new course with new greens should equal the playing field for him a little bit and that little bit is all he may need. We saw a very large correlation of the Fazio-designed Web.com course Victoria National with both Quail Hollow and PGA National. Luke List ($6,900) placed 40th in the 2015 United Leasing Championship and followed that up with a 10th-place finish in the 2016 Honda Classic. List ranks 10th in BOB%, 17th in T2G, and 23rd in Bogey Avoidance on the PGA Tour this season. Harold Varner III ($6,300) also placed 40th in the 2015 ULC and although he missed the cut at the Honda in 2016, he followed it up with a 24th in the 2016 Wells Fargo and 54th in this year’s Honda. He is also coming off of five straight made cuts. That is solid playing for close to min price on DraftKings. Ryan Blaum ($6,300) is another player with great value this week. He placed 35th in the 2015 ULC and then placed 10th in the 2016 ULC. He followed that up with a 37th-place finish in this year’s Honda Classic. He has made four of the last five cuts and will look to bounce back from his missed cut at the Valero. Jonathan Randolph ($6,600) did something very weird in 2015. Although being a full card-carrying PGA Tour member, he deiced to play the ULC instead of taking the week off as the WGC Match Play was going on. He finished second. Randolph lost his tour card for 2016 so he once again played the ULC and finished second again, helping him secure his 2017 Tour card. Worth noting here is that he placed 20th in the 2015 Wells Fargo a month after his strong UCL result. Although his stats will not blow you away, he does have a fantastic wedge game, ranking 37th in approaches inside 100 yards.